Protect your pump from damage due to low water levels using this Little Giant Heavy-Duty Low Water Pump Cut-Off Switch. Using a switch with your existing, manual pump prevents it from running dry, protecting your pump investment. 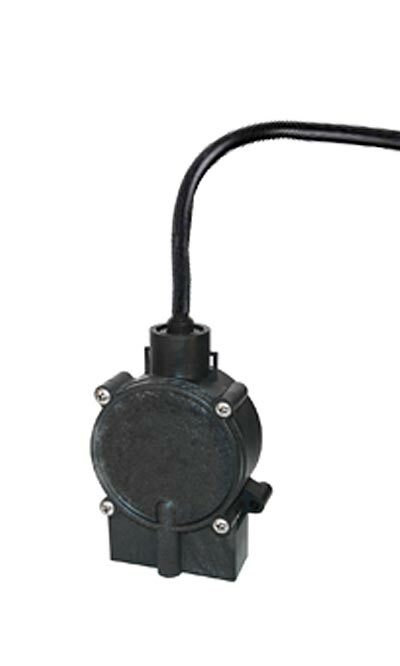 This heavy-duty switch is designed for pumps up to 1/2 Hp, and has a piggyback plug receptacle for connecting to your existing pump's cord with ease. The body of the unit attaches to your submersible pump or a pipe, for placement in the water, and measures the water pressure via its internal diaphragm. If the water pressure drops below a normal condition, approximately 6", the unit activates and cuts power to your pump, preventing it from overheating or running dry. Its generous, 18' long cord ensures plenty of reach, and the unit restores power when water levels elevate. Prevent damage to your pump by adding this Heavy-Duty Low Water Pump Cut-Off Switch to it. One year limited warranty.